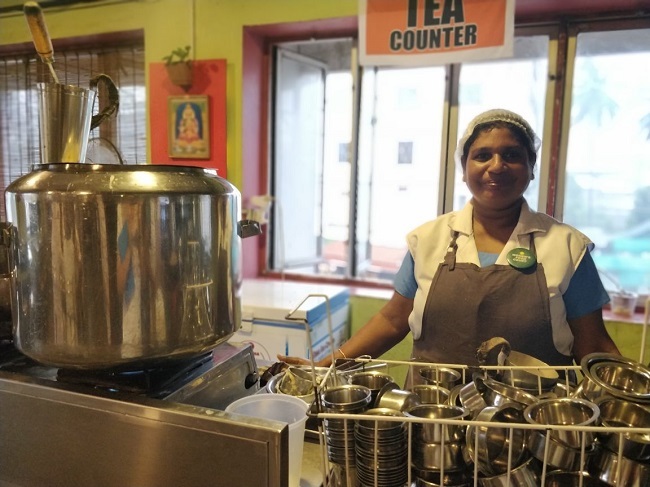 The Women's Food Court has six women entrepreneurs who run food counters that sell everything -- including tea, snacks, dosas, meals and biryani. 45-year-old Sunitha is all smiles when asked about the food counter she runs at the Women's Food Court in Kerala's Thrissur district. While she was unemployed for many years, Sunitha decided to start working when she realised that her husband's meagre income from farming could not meet the growing requirements of their four-member family. Four years ago, she earned Rs 7000 a month working as a saleswoman at a leading clothing store in Thrissur town. Now, she is the primary source of income in her family, earning up to Rs 60,000 a month. 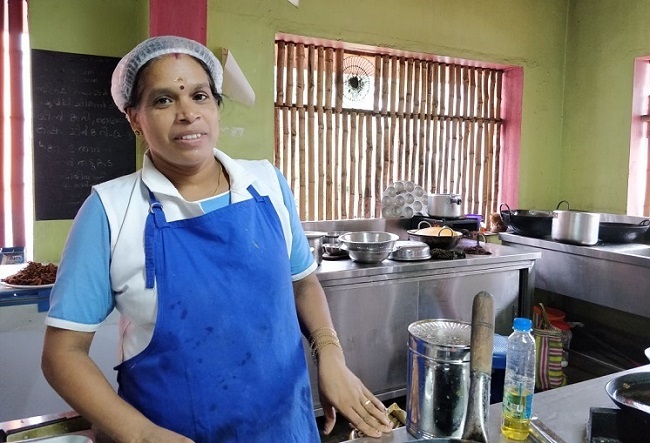 Sunitha is now an entrepreneur who employs three women as staff for the food counter she runs at the Women's Food Court in Thrissur Swaraj Round. Sunitha’s counter, which started three years ago, makes chapatis, porotta, chicken, fish and beef curries. 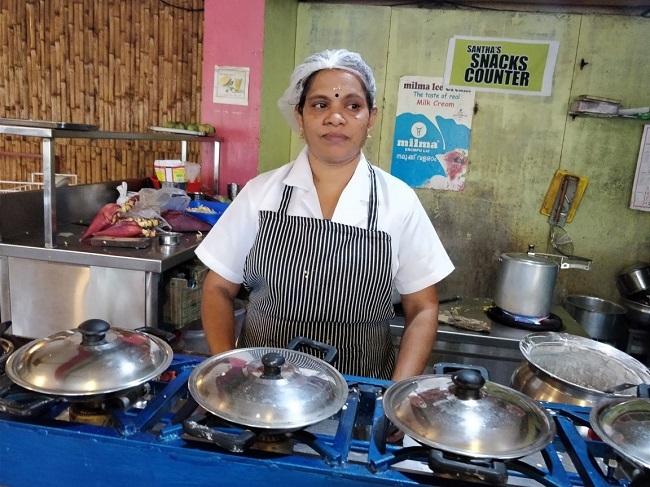 At the food court, there are several stories of success and empowerment for women like Sunitha, who were either once unemployed or had to settle for jobs that hardly met their financial requirements. 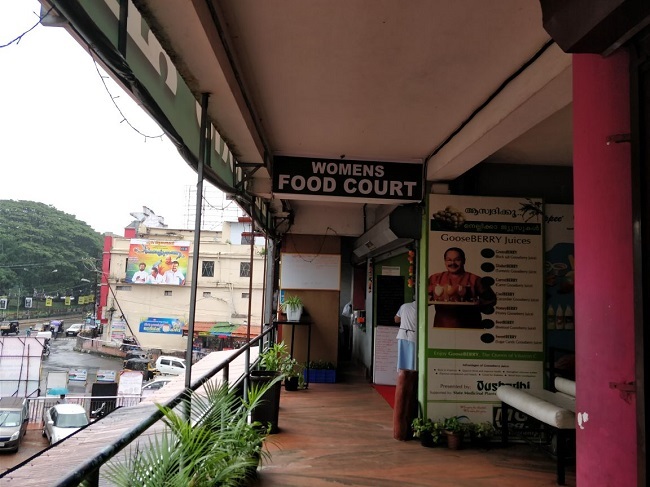 Started four years ago, the WFC situated at Naduvilal in Thrissur Round has six women entrepreneurs who run food counters that sell everything -- including tea, snacks, dosas, meals and biryani. The food court is the result of efforts by two brothers — Ajay Kumar and Ashok Kumar — who brought the women together under one roof and mentored them. 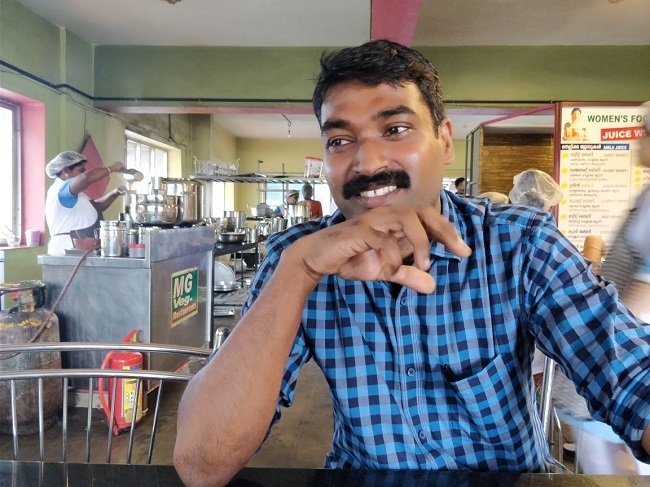 Having worked as trainers in Kudumbashree and providing guidance and training for women to start their own ventures, Anoop and Ashok started the Women's Food Court by bringing together women who were part of the government programme. "Initially we began with just 10 women who used to do all the work. Gradually, we split the group into smaller ones and made one person in-charge of each counter. They are the entrepreneurs — who basically own and operate the counter, and have also contributed a sum as an investment. They then hired more women staff to work with the team, who are employed on a daily-wage basis. We leased out this place from the corporation. The income from the sales goes directly to the entrepreneur. We charge a certain percentage to pay for common expenses like rent, electricity, water and other such expenses," Ashok tells TNM. With no outside funding, the food court is now a self-sustained entity. While the Kumar brothers provide a space for the women to run their business and give them training from time to time to better their skills, there is a risk in running a business. The women have to take care of everything from ordering supplies to making sure they reach the hotel on time. "Apart from providing space and training for them, the women themselves are responsible for everything else. They have local contacts and get the supplies to the hotel every day. We do not intervene in their daily operations," Ashok says. Athani-native Sunitha says that she is now a much happier person, having attained financial independence. "I am definitely happy and leading a better life than I used to. But of course, there are tensions also this business. But at the end of it all, we are able to run the counter smoothly," Sunitha says. 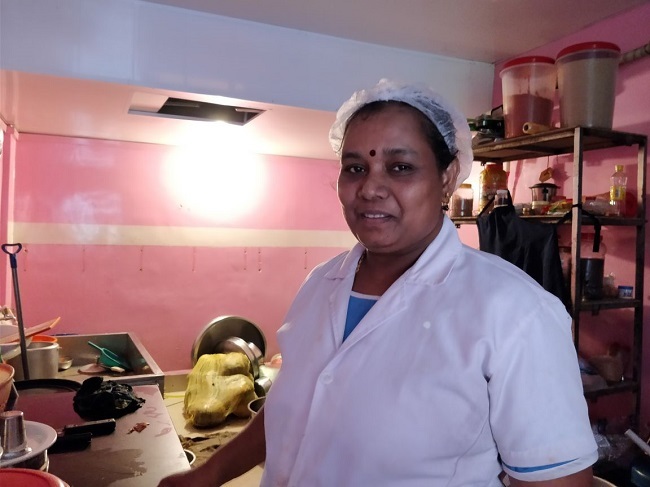 Another entrepreneur, Rajani, runs her meals counter only until lunchtime, unlike other counters which work from 9 am to 9 pm. Rajani used to be part of a seven-member women's group that ran a canteen at the Government Mental Hospital in the district. However, she says that her income has almost tripled after starting the meals counter at WFC. "While running the canteen, the profit used to be quite low. Also because the canteen at the hospital operated with subsidized rates. We used to barely manage to get Rs 15,000 a month. But here, now I earn at least Rs 50,000 a month," Rajani says. A graduate, the 45-year-old worked in several restaurants in the district, before starting the meals counter at WFC. 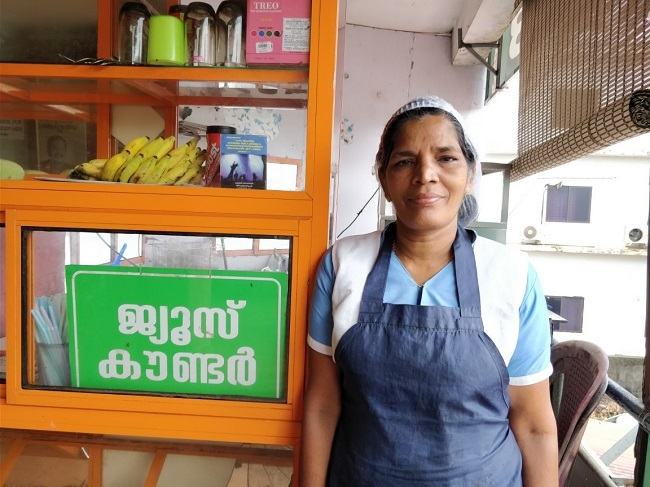 For Guruvayur-native Rema, who has set up a juice counter, her income is dependent on how harsh the sun decides to be. In a busy month like April, she gets to earn about Rs 30,000 a month, a smiling Rema tells TNM. But with the monsoon setting in, her sales are bound to go down. "But that's part of the business, right? When I started this stall three years ago, I was the only earning member of my family. My two children were studying in college and I had to fund their education and my ailing husband's treatment expenses. A year ago, my son got a job in Dubai and now he helps," Rema says. WFC has a total strength of 35, including the service and the reception staff. These staff also have the opportunity to start their own food counters and join the group of entrepreneur women, Ashok says. 50-year-old Radha has been working at the tea counter ever since WFC started. Earning Rs 400 a day, Radha says that one day, she will also start a counter on her own. "For now, I cannot do so. Both my daughters are studying and I need to get them married off. I have so many commitments as of now. But when I am free of all that, I will surely consider starting a counter on my own," Radha shares.